While many zoo employees are concerned about the captive animals escaping the zoo, a 2-3 year-old wild black bear in Pocatello, Idaho decided it wanted to see what it was like inside the walls of the zoo, according to an article in the Idaho State Journal. Apparently, it is still unclear how the bear actually made it into Zoo Idaho in early July, which is one of the only native wildlife zoos in North America, while also being the first bear known to have entered the city limits of Pocatello, aside from a sighting in northeastern Pocatello approximately a month before. 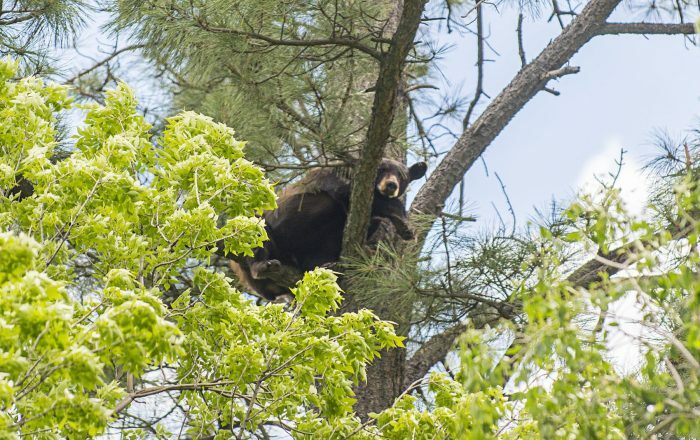 There was a standoff in a sense, as the bear climbed a pine tree and stayed approximately 70 feet high for a while to avoid Idaho Fish & Game who was patiently waiting below with a tranquilizer gun. The bear eventually climbed down the tree and was tranquilized, tagged and dropped off at a remote, undisclosed location–far away from Zoo Idaho. Bears like zoos, too, it appears. To read the full article in the Idaho State Journal, click here.